Middletown and Mahwah drivers looking for a small car will be interested in the 2013 Honda Fit. Embodying Honda’s reputation for value and safety in a compact package, the 2013 Fit is one of the best picks in its class. The Fit also comes with a large list of features at the base level. Like a good hatchback, it provides storage space in the back while offering a fun drive. Not all compact vehicles are created equal, though. Drivers interested in the 2013 Hyundai Accent should know that the Honda Fit comes equipped with some key features that are missing from Hyundai. Here’s how the two models match up. A split second row is completely unavailable on the Accent, actually. While both vehicles have a similar standard cargo volume of around 20 cubic-feet, the split bench increases the Fit’s maximum area to 57.3 cubic-feet, 10 more cubic-feet than the Accent’s maximum cargo area. 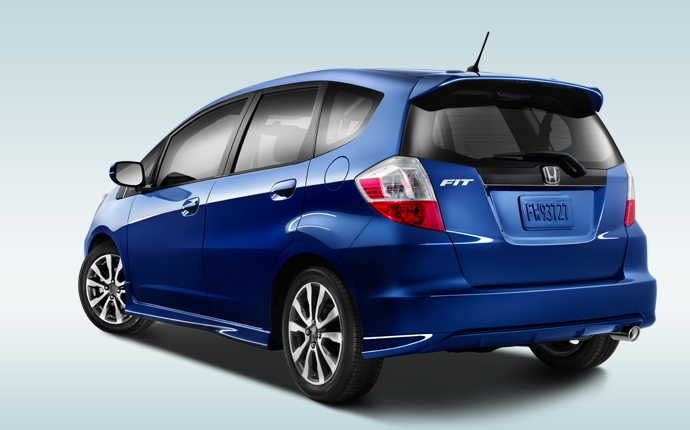 Do you want to see what else the Honda Fit has to offer? Drop by our dealership and explore it for yourself. We’d be happy to set you up with a test drive too. Our dealership is located at 520 Route 211, in Middletown, New York, just north of Mahwah. If you have any questions about the Fit or any of our other new or used vehicles, feel free to contact Middletown Honda.